So how do we convey to you that CrossFit is an all-inclusive program that is built to work with any person of any fitness level and can truly change your outlook on life and your capability to handle whatever it may throw? We let our members speak for themselves, of course. Call it a bit of Show-and-Tell for those that may be on the fence. We appreciate such willingness to share their personal stories with the world. I have been a member of TTCF of almost two years now. At the time I was a 58 year old former marathoner and martial arts enthusiast looking for a new challenge. I was intrigued by what Mike and Maria were espousing on their website. It was a two-sided, no BS commitment to better health and fitness. I signed up for the February 2015 "On-Track" introduction. In all honesty, I didn't take to it immediately. Shoulder limitations hampered my weightlifting preference. I was also Sore as Hell! With the assurances from coaches that my shoulder mobility would improve if I put in the work and with the encouragement of fellow athletes, I decided to double down and go for it. I gradually gained confidence and with it the ability to push myself beyond limits that I had previously considered "way in the rear view mirror." 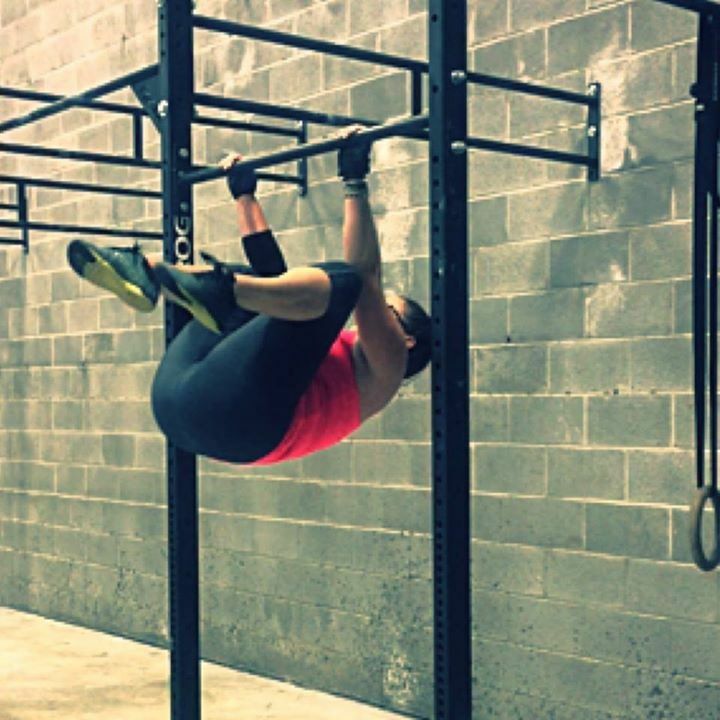 CrossFit will exploit your weaknesses and humble you, but if you commit to improvement you will find yourself doing things like climbing ropes, doing toes through rings, jumping rope, and other movements you would have never thought you could do. You also become a member of a community that sweat together, commiserate with one another, and encourage each other to push past boundaries you never would have though you'd approach. Community, commitment to self improvement and FUN, (yes, it actually becomes fun when you put it out there), are the benefits you can't put a price on. 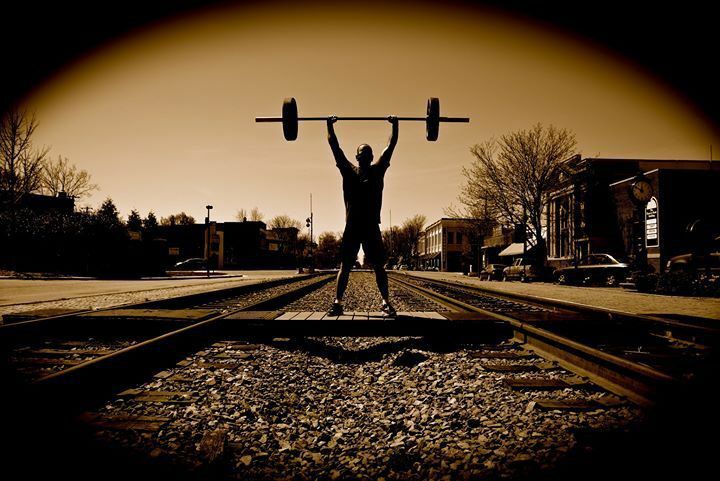 CrossFit, specifically TrainTown CorssFit, is one of the best decisions I have ever made. Year 2013, I was devastated that my son was going to spend 1 full year on the other side of the world serving our great nation...that was the year I really packed on the pounds. Before he returned November 2014, I finally decided to get my health in check...I joined TrainTown CrossFit August 2014...this time is was different, I was NOT going to give up or quit this time..I had no excuses...joining the CrossFit community was one of the best choices I have ever made...and it is worth every penny!!! My moto became "Never, Never give up"... and so I did just that!!!! I encouraged those around me to do the same. When I began my journey, I could not do an unassisted sit-up, I could not run 100 meters without walking, I could not do a banded pull-up, I could not do a walking lunge without two poles to help, I could not complete a WOD without lots of pain...I basically went from couch to CrossFit. Now I CAN do sit-ups unassisted, run a mile without walking, do banded pull-ups, do walking lunges without assistance, and most important, complete a WOD without pain..I can go on a hike without having to sit every 100 feet. I have come off my BP meds and my cholesterol meds, lost 55 pounds and tons of inches (that is 220 stick of butter), gained strength and muscle. I will continue to become stronger and healthier. I may finish last most of the time, but I finish and I am proud of that!! "I ended 2013 in the worst shape of my life. I was at my highest weight, lowest activity level & my diet was crap. I would always justify my state. "At least I'm not in THAT size", "I've never topped THAT number on the scale" & of course "I'm fat & happy". But that was never true. I had admired CrossFit from afar. I had friends who had done it. I always thought, "Wow!. But I could never do it." Then one day driving down England Street I saw TTCF. I looked them up & started following them on Facebook. I even talked about it all the time to my friends. "We should do it!" No one seemed to share my enthusiasm. But then one day my friend, Karen, said, "Let's do it!" And so began my CrossFit journey. My first On-Track WOD was 10 minutes of pure hell. I thought I was going to die several times and was in pain for days after. If hadn't been for Karen I may have not come back. But I couldn't let her down. We were in it together. That was just over 3 months ago & things are very different! I'm different! Yes, I've lost weight. But it's so much more than that. I've completely changed my body shape. I have more energy. I'm sleeping better. I seem to have more patience (most days). And I'm so much more confident. And not just in the gym. Everywhere! I've done things at TTCF I would have never thought I was capable of. That has spilled over into my work & personal life. I no longer make excuses. I say to myself, "If you finished that WOD yesterday then you can certainly handle this!" The only thing that's not different is that I still talk about it all the time. Thanks to TTCF I'll be ending 2014 in the best shape of my life!" I was ready to start 2014 like many others, with plans to eat better and lose weight. I was all set to start my normal routine of going to the YMCA a couple days a week. This routine had worked int he past, I would lose weight for a month or two, and I would gain it all back plus a few pounds by the end of the year. I dreaded going to the "Y" because of the boredom of working out on the treadmill and elliptical. I had many friends that lifted there, but I felt like I needed to aerobic workout to get the weigh off. I did try working out with the weights on occasion. I was so far behind the people I was lifting with, that I felt like I was holding them up. My workouts were unplanned; I would show up like many others and just use whatever equipment was available. Many of my fellow members of the Ashland Volunteer Fire Department were already doing CrossFit with noticeable positive results. I was reluctant to start, because I already had a UYMCA membership that covered the family. Why in the world would I have another membership just for myself? Then I asked myself"Why continue with a membership that had failed me?" I decided that I would carry both memberships and evaluated the two at the end of three months. My evaluation period ended and CrossFit wins hands down. I have returned to the YMCA only once since I started CrossFit. I decided to take the family to the "Y" and try to spark them into working out. While I was there, people were reading books, carrying on full conversations, and watching TV while working out. The entire group looked bored and quite comfortable. On August 19th, I was on my way to WV with a friend when someone took a picture of me. I knew I had put on a few pounds but I didn't realize how much it showed until I saw this picture. I have exactly 34 days before Iwas to tleave for my anniversary vacation with my family. My cousin had lost a bunch of weight after starting TrainTown CrossFit so I figured I would give it a shot. That very next Monday, I started my On-Track workout with Maria by explaining that I was really beat up for a 45 year old from years of racing and simply not taking care of myself. I honestly had no idea if I was even going to be able to do "CrossFit" and figured is was 50/50 if I made it a week. After 31 days, I lost 14 pounds and dropped two pant sizes all while gaining strength and stamina for my mountain biking adventures. It wasn't easy, don't make the mistake of thinking anything worth having is. But, it has become almost second nature to got tot the "gym" because I want to see where I am in comparison to yesterday, last month and eventually, last year. TrainTown CrossFit has changed my life. I was on the cusp of becoming an old, out of shape middle aged man and I can't even describe how much more healthy I feel today. There is no investment like the investment in yourself. In life, there are really very few things you truly control and/or physical fitness is one of them. I can't thank the folks at TrainTown CrossFit enough for making me feel 15 years younger. 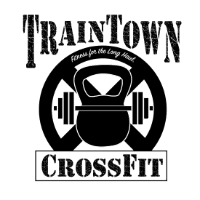 I started at TrainTown CrossFit more than two years ago because, like many Moms I know, I wanted to get back in shape and reduce my stress levels. I work full time outside fate home and also happen to have an awesome eleven year old son who has significant support needs. I love the variety of exercises (of course some more than others..LOL) in CrossFit--I never get bored. I go to TrainTown regularly which I have never done with any other exercise program. This is because of the people at the gym are so supportive and encouraging--it is such a strong stoical network. I feel strong--physically and mentally. I am 46 years old, eat very healthy, take no medications, can carry my 70pound plus son piggy back, and am the healthiest I have ever been--all due to TrainTown CrossFit. Thank you so much for making such a positive impact on my life and the life of my family!